LeCo Le 1s has been a great hit in the Indian market. We tried out the phone and the initial impressions were quite good. Over 500,000 people had registered for the flash sale, but among them around only 70,000 people could successfully purchase the phone. So, if you’re wondering about how to buy Le 1s during Flash sales on, you have landed at the right place. It’s too hard to grab one of them, as last time it went out of stock within 2 seconds. So, better to try out some tools and methods which will help you grab a Le 1s. We will list two methods, both are automated processes and ensures a better chance. However, I think you should do the same thing in two different tabs and try manually in another tab or probably you can do that from flipkart mobile app as well. DISCLAIMER: THESE ARE THE METHODS THAT ASSURES A BETTER CHANCE OF ADDING LE1S INTO YOUR CART, BUT DO NOT GUARANTEE THAT THESE WILL BE 100% SUCCESSFUL. NEITHER IGADGETSWORLD/IGADGETSWORLD TEAM/AUTHORS/EDITORS OR ITS AFFILIATES ARE REPOSIBLE FOR ANY KIND OF DAMAGE. Go to LE 1s product page where you can see the countdown going on. Let the page load completely, right-click anywhere on the page. Now copy the Le 1s auto add script you see here. Paste the Le 1s script in the box. Wait for the script to add Le 1s in your cart as soon as the sale starts. This script should work well. Use Google Chrome and a stable internet connection so that there are a few chances of a disaster. This was the 1st method if you’re still wondering about how to buy Le 1s during flash sales. This method is easier and you don’t need to do anything, almost. Just a simple Chrome Extension is enough. Flipshope is an extension for Chrome which helps you shop on different e-commerce sites with price graphs, coupons etc. and now they have added the auto buy functionality. if you do not much familiar with using scripts and console to do it and want to know about how to buy Le 1s easily, this method is usable for you. So, here’s how to buy Le1s using the Flipshope extension. Install the Flipshope Chrome extension, just follow the link and add it to your Chrome. A pop-up will confirm your registration. On the Flash sale day, visit Le 1s Flipkart page half an hour prior to sale and keep the tab active. Just stay logged in into your Flipkart account and wait for the sale to start. The plugin will add Le 1s automatically to your cart. Just select your payment method and place your order. Try both the methods, however, I would strongly recommend you to try grabbing it manually, preferably from a mobile device or secondary PC/laptop, because when all these threes combined there is a better probability. 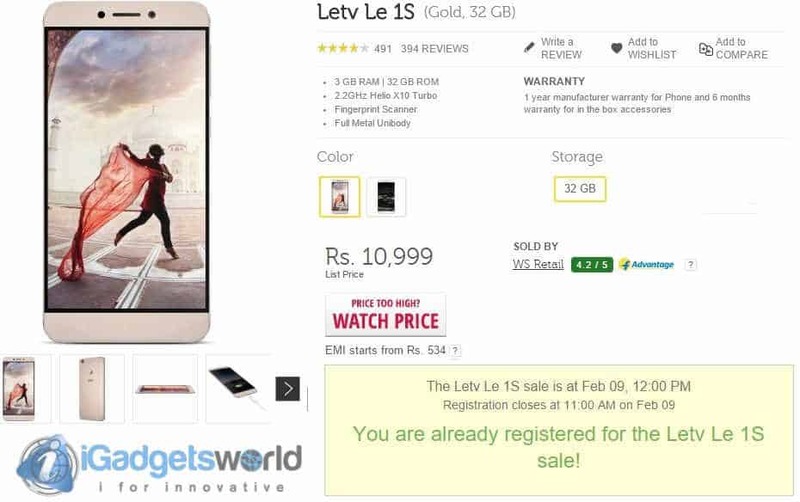 If you liked this brief tutorial on how to buy Le 1s during flash sales on Flipkart, do share it with your friends as well. Also, in case you need any kind of help or suggestions, you may join us by liking our Facebook page and we will try to respond as fast as we can.